Imagine that you have just accepted an offer of employment with a company. You have tendered your resignation to your present employer, and have begun making all of the necessary arrangements to start your new job. You have told all of your associates, friends and family about the new company you are going to work for, and are looking forward to your start date with eager anticipation. Fortunately, companies do not do this to people, ever. 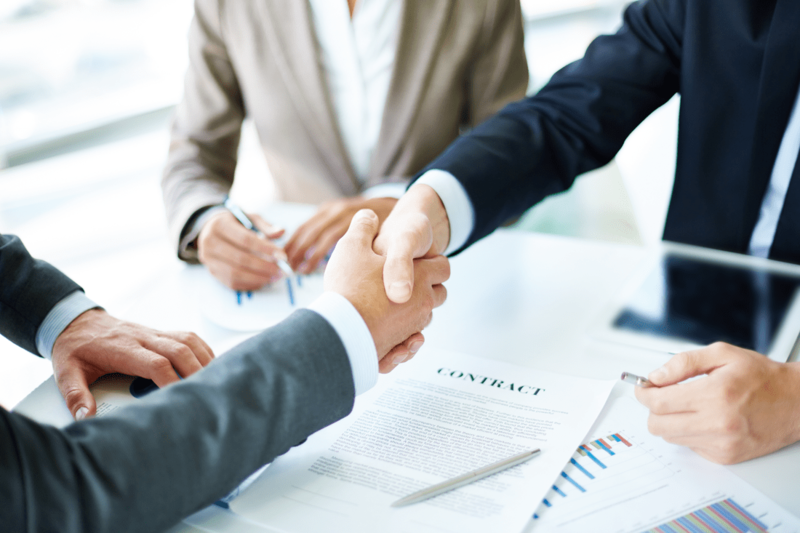 Hiring managers realize that a contract has been formed between the new hire and the company. To then continue to interview to find an even better candidate would be wrong– legally and ethically. Anyone reading this article will agree that companies just cannot do this to candidates. It would be wrong, greedy, selfish and probably illegal (in terms of violating a contract, be it verbal or written). Ironically, candidates and applicants do this to employers every day. I am a fifteen-year veteran of the sales recruiting industry, and am still amazed when a candidate accepts an offer of employment, and then calls the employer the night before the start date and informs them that they will not be starting because they accepted another offer of employment. I have been on the receiving end of such calls, and have seen the damage and complications this causes for the hiring manager. The manager informs human resources and his/her boss that the candidate has accepted the job. The manager’s boss congratulates him/her on successfully filling the job. The search for the position is officially closed. If a recruiter was involved, the recruiter is told to stop the search. All internal candidates are also notified that the job has been filled. Short-listed candidate/s is notified that another candidate has filled the job. A scramble to get all the appropriate signatures on the offer letter and new hire packet occurs. Often, a VP will change his/her itinerary to accommodate the hiring manager, knowing that this new hire is important to them. Human Resources will begin the tremendous task of getting the new hire into the payroll and benefits system. If there is training involved, arrangements and reservations are immediately made for the new hire to attend. An announcement is made to the staff that the candidate will be joining the company. Customers and vendors may also be notified that this person is joining the company. Office equipment i.e. : new computer / laptop, company cell phone contract, etc. are ordered, a phone extension is assigned and office space arrangements are made. As you can see, a lot of time and effort precedes a candidate’s actual first day of employment. When a candidate later backs out of the offer, the hiring manager is truly put into a difficult and embarrassing situation. Not only does the manager have to reverse all of the work that was done in anticipation of the new hire start date, the search likely has to start all over again. Rarely is the back-up candidate available after being told the position was filled. If the position is a critical position, the last-minute backing out of the offer could cost the company thousands. The position now sits vacant– all because someone accepted the offer for the position only to back out at the last minute. If a recruiter is involved, the damage is also done to him/her. If you accept an offer of employment through a recruiter, and then have a change of heart, it will cost the recruiter a great sum of money. And, it may even cost the recruiter the relationship with the client. While it is not the recruiter’s fault when a candidate backs out after the acceptance of an offer, the company may wonder if they should continue to do business with a recruiting firm that was in the middle of the mess created by the candidate. Thus, insincere acceptances of recruiter-generated job offers cost the recruiter a pay check, and possibly a client. If the recruiter knows that there are contingencies to the acceptance, he/she can continue to search for a new candidate as a backup. It is extremely unfair for a candidate to do this to a recruiter, especially when they have the knowledge of the hardships it will create. When you actually want the job, simply say, “I accept.” This means that you have sincerely accepted, and are not entertaining any other offers of employment, nor are you planning to use this offer to generate and accept a counteroffer from your current employer. You are telling the manager that it is OK for them to go through all the paces of getting you hired. If you are excited about the offer, but are still interviewing, be honest. “Thank you for your offer; it appears to be fair and acceptable. I am waiting on another offer, though. This does not mean that I want the other offer. But, in fairness to me, I feel that I need to explore all of my options. Can I get back to you within seventy-two hours with my answer?” Believe me, the manager will appreciate your honesty, and will likely give you the seventy-two hours. Be fair with this request, and do not take more than seventy-two hours. Each day that you hold onto the offer, another day goes by that the manager cannot take action with any other candidates.